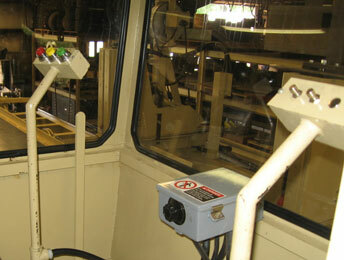 Our controls\setworks are manufactured in-house so that the control of your sawmill is simple, easy, and dependable. With 3 setworks to choose from, you are certain to find what you need. Constantly trying to innovate, we have a separate department and test mill for researching new control designs and scanning systems using the latest computer vision and electrical engineering technology. 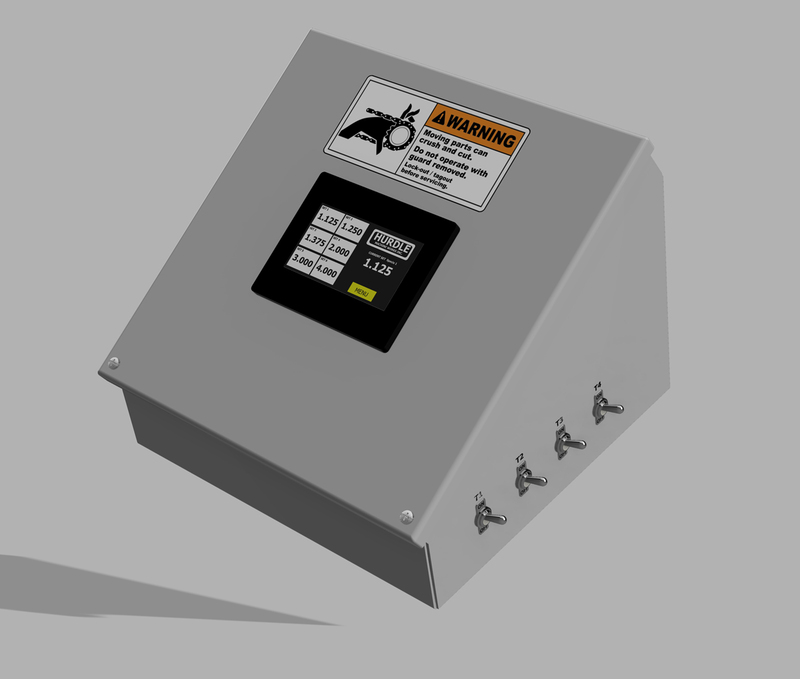 Automatic coast/error compensation adjusts to changes in temperature, wear, etc. 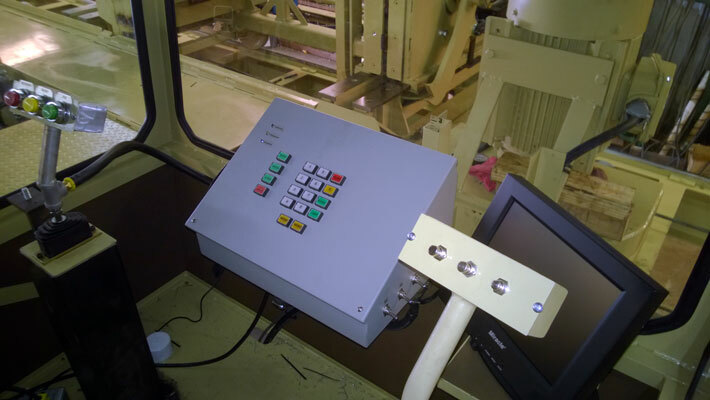 Flatscreen monitor neatly shows details of operating modes, stacks, errors, etc. Heavy duty Temposonic transducer measures absolute knee position to the .001"
Simple and easy to setup and change boards,cants,etc.